Cranial Sacral Therapy is a technique taught in Applied Kinesiology based on Cranial Osteopathy which was discovered by osteopath Dr. William Sutherland after he had a remarkable insight while examining the specialized articulations of cranial bones. Contrary to popular belief Dr Sutherland realized that cranial sutures were, in fact, designed to express small degrees of motion. DeJarnette and Goodheart introduced diagnostic methods for the evaluation and treatment of cranial dysfunctions. The key technical factor that has advanced cranial diagnosis and treatment, and brought the entire field of cranial therapy into accessible, reproducible, practice and scientific form, was provided by Goodheart’s discovery that the musculoskeletal system and manual muscle testing (MMT) reflects what is going on within the cranial mechanism. MMT has allowed applied kinesiologists to discover the dramatic functional relationships that exist between the cranium and every other articulation and tissue in the body. Furthermore, patients are not treated in a “touchy feely” fashion in which the patient’s skull is cradled for an indeterminate time, until the cradler perceives warmth or a yielding or softening sensation. There are many other physical signs and tests (besides MMT) that also reveal cranial dysfunction; these have been written about extensively in the applied kinesiology (AK), sacro-occipital technique (SOT) and osteopathic literature. Returning the dura to a physiological range of tension by using specifically applied cranial corrections is a major goal of AK evaluation and treatment, which seeks to achieve zero defects inside and outside the cranium. Like Cranial Osteopathy, Cranial Sacral Therapy seeks to restore the natural rhythmic movement found between the bones of the skull and the sacrum which is correlated to our inspiration and expiration; in other words, the cranial bones and sacrum move in different directions when we breathe in and in opposite directions when we breathe out. The purpose of this is to aid the circulation of the cerebrospinal fluid throughout the central nervous system. 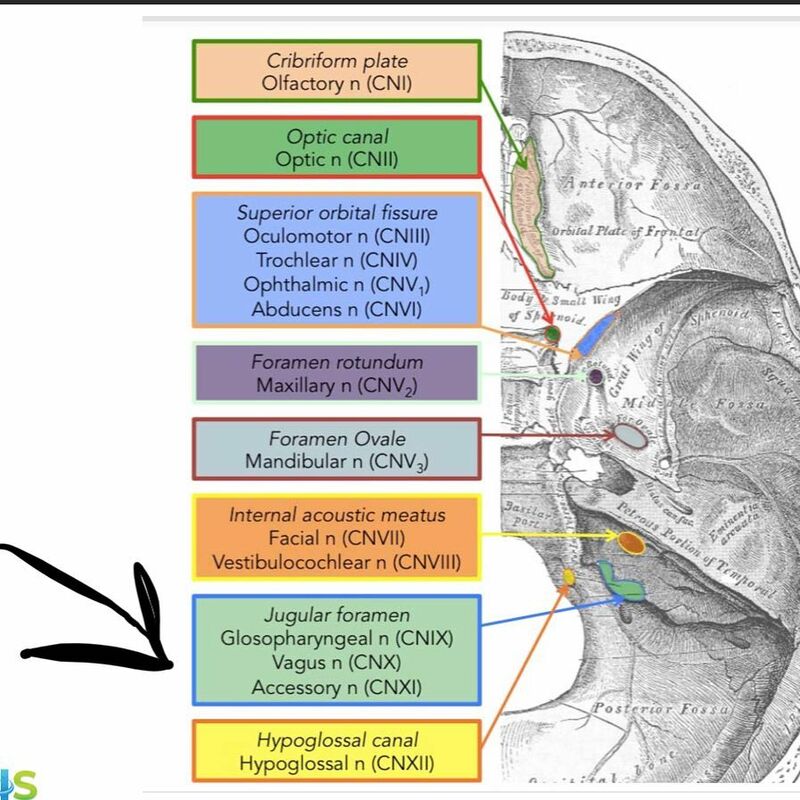 And some suggested that CSF flow along the cranial nerves and spinal nerve roots allow it into the lymphatic channels. Restoring normal cranial-sacral rhythm enables the body to function optimally and may alleviate a wide variety of painful and dysfunctional conditions within the body. Using a soft gentle touch practitioners release restrictions in the cranial-sacral system to improve the functioning of the central nervous system. There are many results why the motion of the cranial and the sacrum may be disturbed. For some, it can be caused by the trauma of a difficult birth. Normally since the bones are very flexible, normal movement and the act of crying restores the natural movement. For others, it could have been caused an accidental bang to the head, a fall, whiplash following an auto accident. Jaw problems can also affect the cranials as when we chew or clench our teeth, there are muscles forces directed to the skull such as the pull of the Temporalis muscle on the squamosal suture of the skull. Even the act of holding our breath during physical exertion (we should be breathing out at that moment), can cause a failure of proper cranial and sacral motion. In applied kinesiology, there are techniques to find the dysfunctions (or cranial faults) and to find out how to fix it. The difference in muscle strength when the patient is breathing in or breathing out is one clue. The asymmetrical face is another clue that there may be a problem. Or the doctor can observe what happens to the strength of a muscle when she (or he) presses on certain cranials or sutures; this is called a challenge. Cranial-sacrum corrections are easily made and if incorporated with the correction of accompanying spinal dysfunction, muscle balancing and proper nutrition, it will have a lasting effect. – A new patient had a history of not being able to look to her left without turning her body since contacting toxoplasmosis when she was 18; she was now 80 yrs old. She stated that the infection affected her lt eye. Found that the muscles for lt. lat flexion were weak but therapy localization (touching) of the ethmoid bone that makes up the lateral part of the eye socket made the muscles stronger. So I adjusted the bone with an inspiration assist and the muscles were strengthened and the range of motion was improved; in fact the range was now better than the right side. This entry was posted in !0011Applied Kinesiologist, 10011 neuro kinetic therapy, allergies, applied kinesiologist, Applied kinesiology, cerebrovascular disease, chelsea applied kinesiologist, Chelsea chiropractor, chelsea neuro kinetic therapy, chiropractic, cranial nerve dysfunction, cranial sacral, cranial sacral therapy, dizziness, Dr. Vittoria Repetto, earaches, female applied kinrsiologist, female chiropractor, headaches, high blood pressure, https://drvittoriarepetto.wordpress.com, hypochlorhydria, migraines, NYC, NYC Applied kinesiologist, NYC chiropractor, nyc neuro kinetic therapy, trigeminal neuralgia, vertigo, west village applied kinesiologist, west village chiropractic, west village chiropractor, west village neurokinetic therapist, woman applied kinesiologist, woman chiropractor, woman neuro kinetic therapist, www.drvittoriarepetto.com and tagged 10011 applied kinesiologist, 10011 chiropractor, 10013 applied kinesiologist, 10013 chiropractor, 230 w 13th st. ny 10011, allergies, aol.com, applied kinesiologist, applied kinesiologist chiropractor, Applied kinesiology, applied kinesiology practitioner, best applied kinesiologist, best chiropractor, best nyc applied kinesiologist, best nyc chiropractor, best woman applied kinesiologist, bing.com, blood pressure, cerebrospinal fluid, chelsea applied kinesiologist, chelsea chiropractor, chiropractic, cranial bones, cranial nerves, cranial osteopathy, cranial osterpathy, cranial sacral, cranial sacral applied kinesiologist, cranial sacral chiropractor, cranial sacral practitioner, cranial sacral therapy, cranial sutures, CSF, digestive problems, dizziness, Dr. Vittoria Repetto, Dr. William Sutherland, google.com, headaches, high blood pressure, http://www.facebook.com/pages/London-Terrace-Chiropractic-Applied-Kinesiology/109622855768202, hypochlorhydria, london terrace chiropractic, london terrace chiropractic & applied kinesiology, migraines, msn.com, muscle testing, NYC Applied kinesiologist, NYC chiropractor, open saturdays, TMJ, trigeminal neuraigia, vertigo, west Broadway Chiropractic, west village applied kinesiologist, west village chiropractic, west village chiropractor, west village neuro kinetic therapy, woman 10011 applied kinesiologist, woman 10011 chiropractor, woman applied kinesiologist, woman chiropractor, woman neuro kinetics, woman nyc applied kinesiologist, woman nyc chiropractor, Wordpress, www.drvittoriarepetto.com, www.drvittoriarepetto.meta-ehealth.com, www.drvittoriarepetto.wordpress.com, www.westbroadwaychiropractic.com, yahoo.com. Bookmark the permalink.